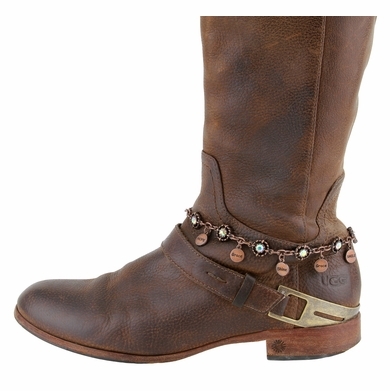 Women's rhinestone charms chain boot accessorie. 6 charm words and 7 rhinestones in the chain. Adjustable chain to wear it where you need it with a metal clasp. 14 inches long chain. Only in color copper.